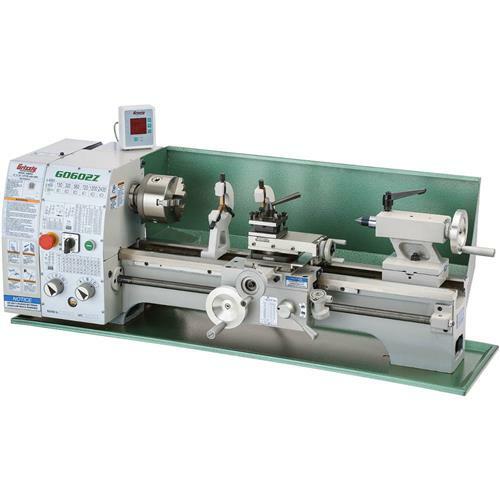 Our 10" x 22" Benchtop Metal Lathe sports generous capacity, a lot of thread ranges, a wider bed, and a larger chuck, yet it costs only a little more than our G4000. With features like a 1" spindle bore, 3/4"–12 TPI leadscrew and an MT#3 tailstock, you'll be able to turn some surprisingly hefty projects! 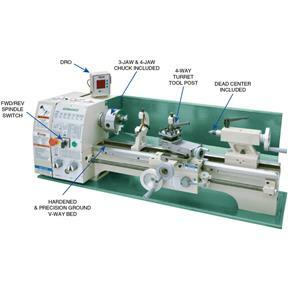 If you're thinking of making parts for models, engines or even for repairs around the home or shop, take a good look at this lathe and the specs below. Swing over cross slide: 6-1/8"
Surprisingly capable lathe, more rigid than I was expecting. Overall I'm very happy with the purchase and it's performance. Tailstock was spot on/aligned to the spindle right out of the crate! A few minor gripes: 1) belts than came with the lathe were the wrong size (they matched the manual, but the actual mounting needed longer belts), just bought them myself. 2) chuck key handle didn't fit the hole in the spindle (so you can remove the chuck), but Grizzly sent me a new chuck key right away 3) the spindle bore is actually just shy of 1", so 1" round stock won't actually fit, it needs to be under size to go through. For me this works perfectly. Don't let the nay sayers keep you from buying this machine. Learn it's limitations and you will be fine. Really happy with my purchase, right out of the box worked very well. My only regret is not getting the continuously variable speed option - changing the belt drives is more of a pain than I had anticipated. Digital Read Out matches my dial indicator quite well. Does not come with a live center, cannot use thread dial for metric threads (you have to leave half nuts engaged and toggle forward/reverse). I'd recommend a quick change tool post, as the tool holder that comes with it requires shimming. Bought mine in January and have had a lot of fun since. I think the machine is a good value for the money. I received it in good condition and thoroughly cleaned and deburred the machine. I reviewed YouTube videos and applied what others had learned. One major modification was making a new plate to clamp the compound unto the cross-slide. I also bought a quick change tool post with the machine, this required milling the provide plate as Grizzly doesn't offer one just for this machine. Be sure to check out the YouTube videos on changing gears because the manual doesn't give you enough information; at least for a novice the manual isn't very clear. I originally thought I didn't need DRO's but now I'm glad I picked this model. I'm not concerned with accuracy as this is just a hobby toy for me, but others on YouTube modify their machines to get better accuracy. I've had the lathe for about a month now, overall I am very satisfied with it and will be making considerable more use of it as time goes by. Many of the reviews I have read concerning rough castings and poor finish simply don't pan out. I did take the saddle, tail stock, compound and the chuck apart and clean them thoroughly, the cosmoline preservative they use to coat everything simply needs to be thoroughly cleaned. My only real complaint is that the compound is not very solid - there are a number of web sites that provide plans for strengthening this area of the lathe and I plan to make those modifications. I also recommend adding a quick change tool post to the lathe early in the game. The four way tool post is a real pain to properly set up and tools installed in the fixture have to be shimmed, this makes setting up for a new job extremely tedious. Regardless these drawbacks I would definitely recommend this lathe, the price cannot be beat and all things considered it is a very solid little machine. 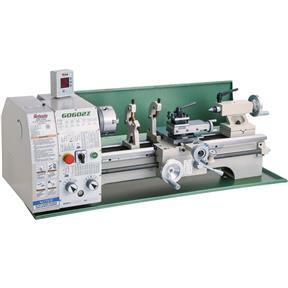 Good lathe for the hobbyist, so don't expect professional-level performance. Holding .001" is not easy in spite of the DRO, etc. 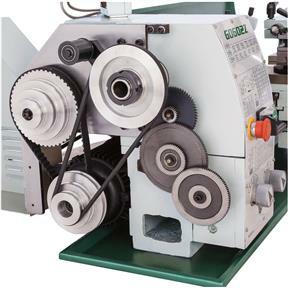 Design errors include extreme difficulty accessing the 4 fasteners holding the motor to the machine, which must be loosened to change the high speed belt. A lathe with a variable speed knob would be money well spent. Bought my G0602Z lathe in February. Excellent machine. Very impressed with the accuracy.Glad I opted for the DRO. 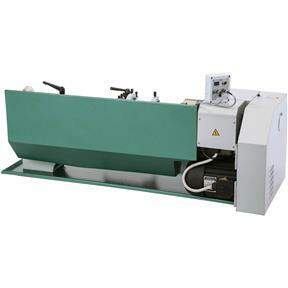 Next purchase will be a surface grinder to add to my home shop. 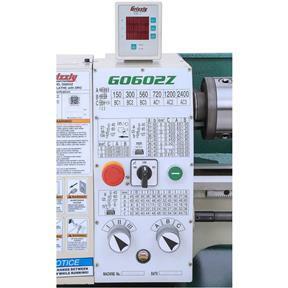 Bought the G0754 mill also.Another fine machine. I haven't had this for very long, but I'm so impressed with the machine's performance so far. 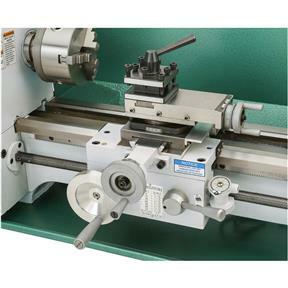 It's a lot of fun to use, but make no mistake, this is definitely a lathe that can handle some significant work. The DRO is great and Grizzly's customer service is second to none!